I encourage everyone to try Lily's yoga class. I can guarantee that you will gain so much from it and you will want to keep attending. Lily is very supportive and non-judgemental as I attempt the poses which I find difficult. She shares my joy when my body achieves a pose which was previously a challenge to me. Lily is very mindful of what each person needs. She does not push us. She gently guides us. She is very aware of when someone is ready for more challenges. Regain your quality of life. 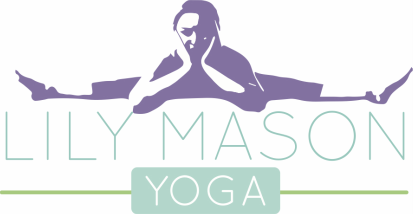 Take up yoga, but in particular take up Lily Mason's Yoga class. It is unique and always interesting and beneficial. Feeling stretched and invigorated after having just arrived home from a yoga class, thought it no time like the present to make comment on Inhale Exhale Yoga with Lily. Sometime ago a neighbour had mentioned that yoga classes were being held locally, and the instructor who ran them was really good. A recent change to lifestyle had created more free time, and I was keen to recommence the practice of yoga, something I had enjoyed doing in the past. Hence my decision to attend one of the local classes and see for myself just how good the instructor was. After just one class I was hooked! Lily displays a genuine passion for the practise of yoga, and together with her patient, friendly demeanour has such a natural ability in instructing. With her clear step-by-step explanation of each pose, and subtle way of correcting anything you may not have clearly grasped, you are led through a relaxing but invigorating 1 hour short class. Apart from each class commencing and finishing with a short relaxation session (an important component to yoga practise), they are always varied but just as enjoyable. So, if you are considering trying out a yoga class for the first time, or recommencing yoga, do yourself a big favour and give Inhale Exhale Yoga with Lily a go, you won’t be disappointed!! I do yoga with Lily.... She is just lovely. Some of my older friends in Clunes do Chair and Gentle yoga with her and rave about the results. As for the benefits, I have gone from not being able to put the second of my legs into pantyhose when standing up, to fixing that and feeling much stronger through the core and more balanced. It is also such a great time to switch off and focus on your breath and body within a truly supportive environment. It’s Thursday night, 5.10 pm, my favourite time of the week, I’m off to do my yoga class with lily. My one hour to myself. We get there early for a chat and get our usual spots, start to wind down and then we start. I love every part of her class, some weeks we laugh at ourselves, others I give everything I have, but mostly I am in between somewhere, I go home relaxed and feeling ready to take on the world some nights. Others, home to enjoy a wine and family time with my boys. Lily offers great advice throughout the class, her instructions are easy to understand, even if you have your eyes closed, or are upside down! My body has generally improved since I have been going, I also combine yoga with massage and going to a chiropractor, these three things work for me wonderfully together.